The nerve cell endings that initiate the sensation of pain are called ‘nociceptors‘. The mechanism of pain involved is called ‘nociception‘, that is, the pain transmission system. Once the nociceptors are activated, signals are sent to the spinal cord which then travel to the brain, hence the common phrase: “the pain is in the brain”. Nociception indicates potential harm; it is a signal to the brain. In short, it is a nervous system process for transmitting pain. ‘Neuropathic pain’ is defined as pain: “initiated or caused by a primary lesion or dysfunction in the nervous system” ( the International Association for the Study of Pain). With neuropathic pain there are problems with the signals from the nervous system, either the brain and spinal cord (central nervous system) OR the peripheral nervous system , outside the brain and spinal cord. 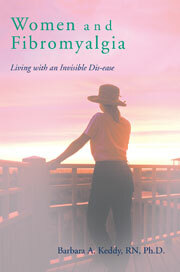 Currently there is debate about whether or not fibromyalgia is neuropathic pain. ‘Central sensitization‘ involves changes in the central nervous system – the brain and spinal cord. Pain is increased with less and less provocation, a neurological ‘meltdown’, that is involved in chronic pain issues. People with this type of pain are over-sensitive to real or imagined threats and the amygdala of the brain is in a state of hyper-vigilance. It is this type of pain which most researchers consider the chronic pain that those of us with fibromyalgia suffer from on a daily basis. While I have written about these issues frequently in other blogs it behooves us to remember that pain is produced by our brain. We have to reconceptualise the ideas of pain and change the brain away from our catastrophic thinking. Mindfulness Meditation, Cognitive Behavioural Therapy, willingness to engage is that which is pleasurable in spite of pain, mild exercise and finally avoiding struggling against the pain are among the strategies to embrace. We have to become the expert of our own lives, there isn’t anyone else who can do it for us.